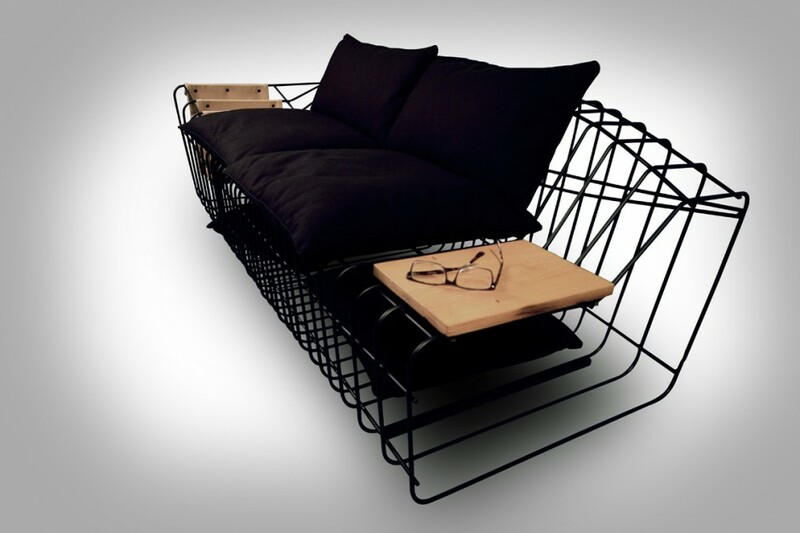 Istanbul-based industrial designer Sule Koc created Sofist, an interesting piece of furniture. The thought-provoking item is made of a simple metallic framework, decorated with pillows. Sofist has special pockets for storing books, and a small adjacent wooden board. 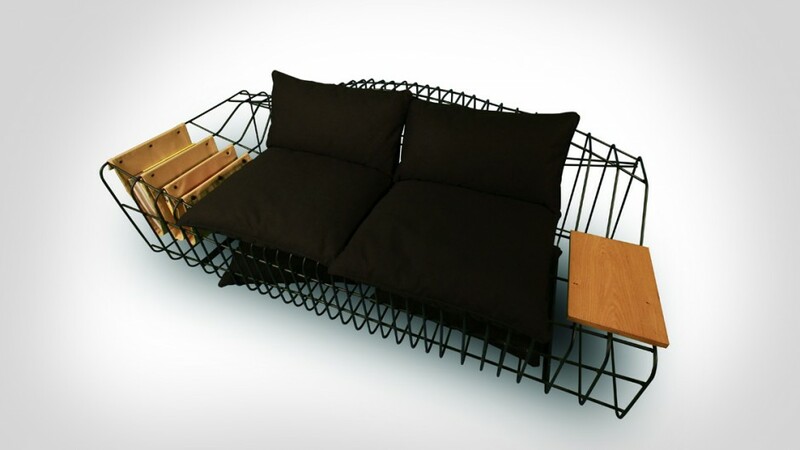 It's a minimalist sofa with industrial twists - like an all-in-one sofa with a cage-like design.